Here are some Cherry Bell Radish Planted with Parisienne Carrot about 16 days ago. Full maturity is 21 days. 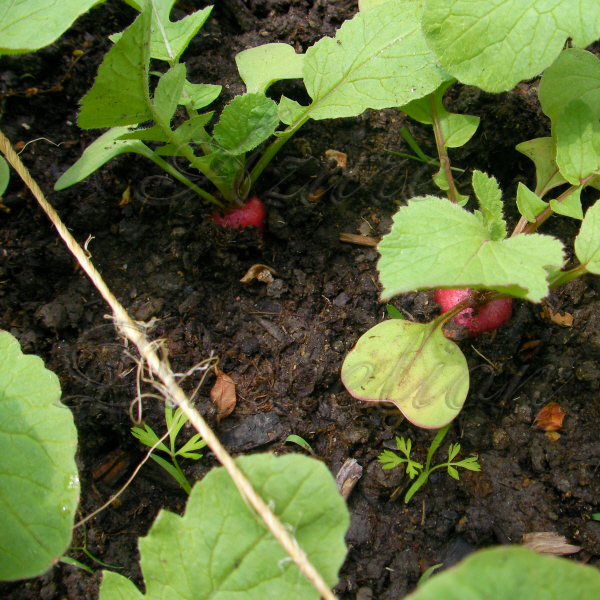 Grow your own Cherry Bell Radishes with Heirloom Seeds from Azure Dandelion.